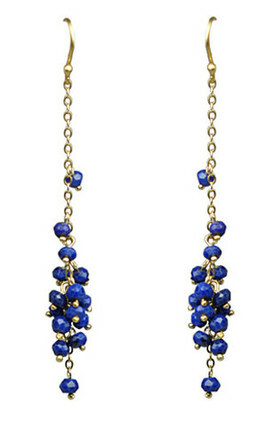 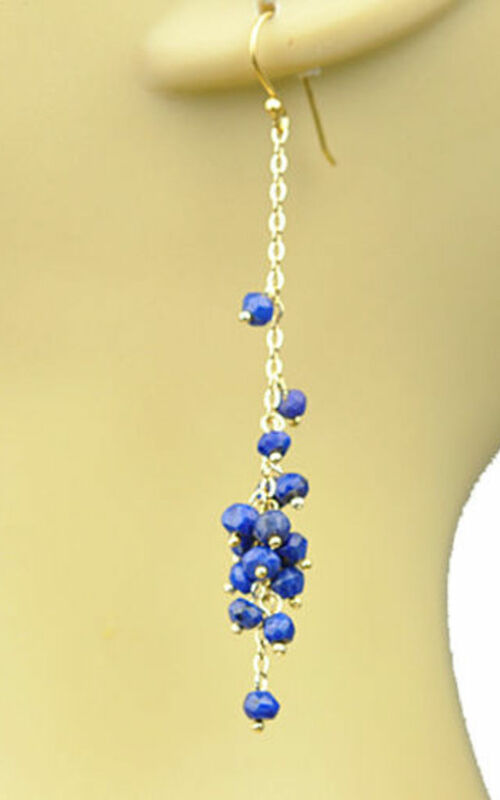 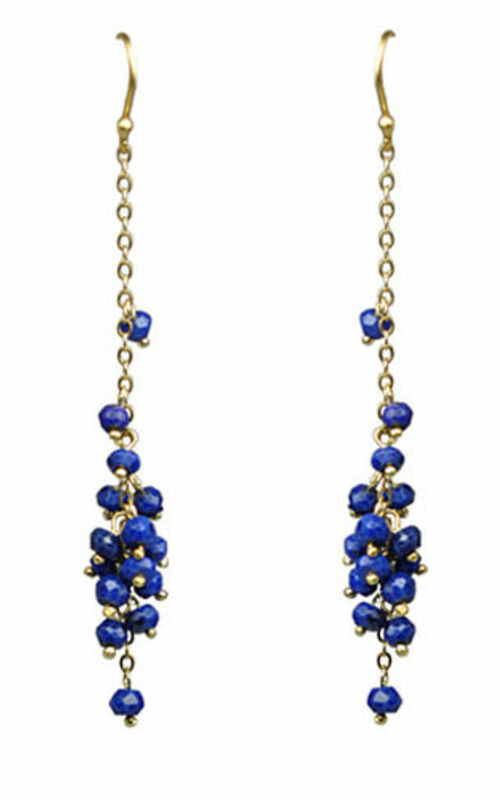 These earrings are hand-crafted using lapis lazuli on 14kt gold fill chain. 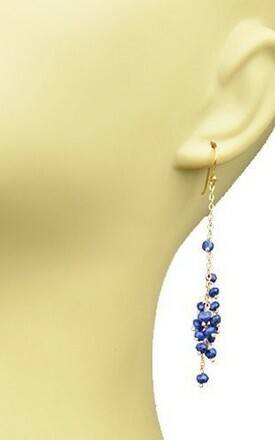 18kt gold vermeil over sterling silver earwires. 3 inch total drop length.